The year was 2013 and entrepreneur Jonathan Strauss found himself in a situation many business leaders can relate to. His company, social analytics startup Awe.sm, was scaling quickly, converting from a platform used by developers to track social-sharing data to one used more broadly by brands and marketers. Strauss had steered Awe.sm for four years as CEO but he was spread too thin. The hardest thing, as he noted in a very personal post on his blog, was realizing that he, alone, couldn’t lead his company to that next level. Strauss hired an industry veteran to replace him as CEO. He’d stay on as head of product development, leading product, strategy and engineering. While no one knows the brand or vision better than the founder, growing companies demand different skill sets at the top. Entrepreneurs aren’t superhuman. Sometimes they need a COO to take on the daily management duties. Other times, it’s best to let someone more qualified run the show, while you focus on the things that you do best. Letting go of control of something you’ve built is scary. Here are seven resources that can help shed some light and ease some fears. This academic paper from Harvard examines the two primary motivating forces behind most entrepreneurial ventures: money and control. Rarely can entrepreneurs attain both, the paper says. Long-serving founder/CEOs like Bill Gates are the exception to the rule, Wasserman says. There is no cookie-cutter recipe for entrepreneurship. There is no standard design for entrepreneurs. The earlier that founding leaders realize this, the better positioned a company can be for growth. Some entrepreneurs are highly creative product developers. Yet, a company can’t grow on just one person’s skillset alone. The business needs someone to manage teams and set a strategic course for growth. Enter the concept of working on vs. working in your company. In “How to Work ON Your Business--Not Just In It,” entrepreneur Tom Lowery outlines a five-step plan for how you can focus more on the “on” rather than the “in.” The more time you spend bogged down in day-to-day stuff, the more you’re working in your business, and failing to plan for the growth you dream about. 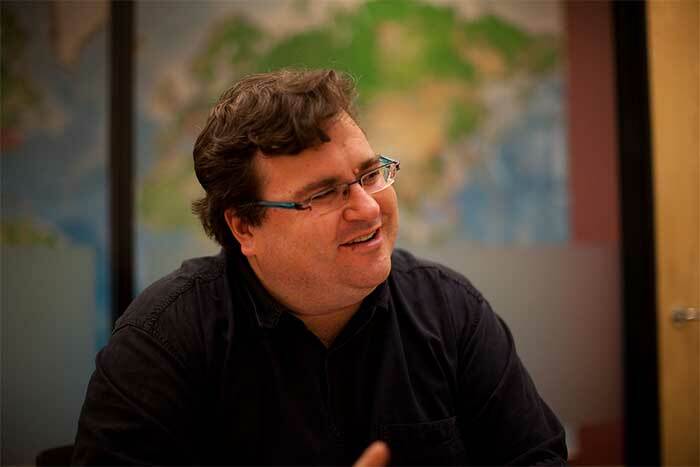 In 2007, LinkedIn co-founder Reid Hoffman made a tough decision. Similarly to Strauss at Awe.sm, Hoffman stepped down as CEO and hired a professional chief executive to take his place. Six years later, in 2013, he scribed this 3,000-word post. It’s a detailed self-examination of how he arrived at this decision, why, and his role within the company from that point on. Replacing yourself isn’t always the answer. If you want to maintain the vision as CEO but need help with the nuts and bolts of managing a growing company, hiring a COO can be an option. Take it from Playwire founder Jayson Dubin. As his company began to grow, he found himself “in the office every day, dealing with an assortment of HR, IT, technical, office management, and building issues,” unable to handle what he does best: customer acquisition and retention. So, you’re thinking you might need to hire a COO. But what the heck should they be responsible for, anyway? Kimbarovsky talks about his own misgivings in relinquishing control over his company’s engineering team, in order to free himself up to focus on growth-associated tasks. To ease the transition, he decided hand off responsibilities for the team to a senior engineer over the span of several months. The gradual process assured they’d both be ready for the change when the time was right. “If you want to grow your business, you must learn how to let go,” Kimbarovsky says. It’s not always the entrepreneur who decides it’s time for a leadership change. Sometimes the call comes from on high: the VCs who have invested in your company. Typically, it’s because they want to scale faster than they think you’re capable of. Either way, it’s difficult for one person to carry the burden of a growing company alone. Let go of the responsibilities that weigh you down from doing bigger things. You might need a second set of capable hands to set you—and your company—up for success.